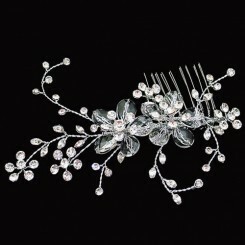 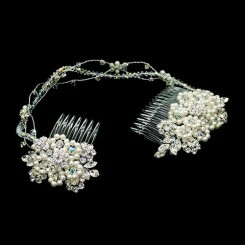 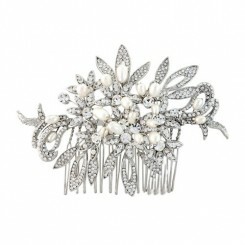 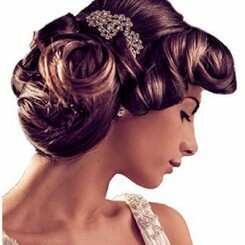 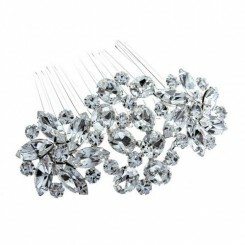 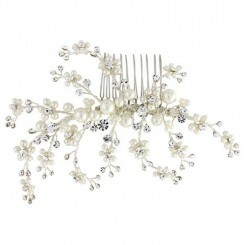 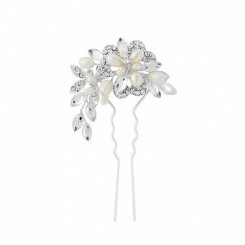 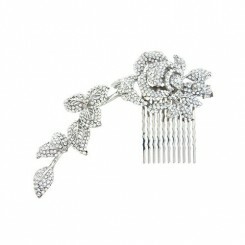 The Clarissa Floral Bridal Hair Comb has an elegant, vintage inspired design. 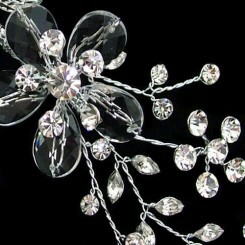 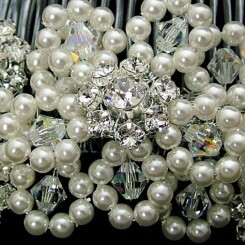 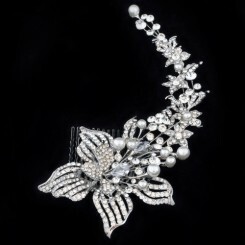 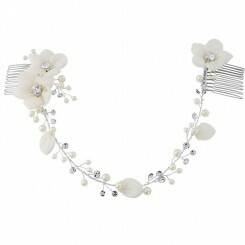 Feminine florals combine with the classic beauty of pearls and crystal to create a gorgeous romantic hair accessory. 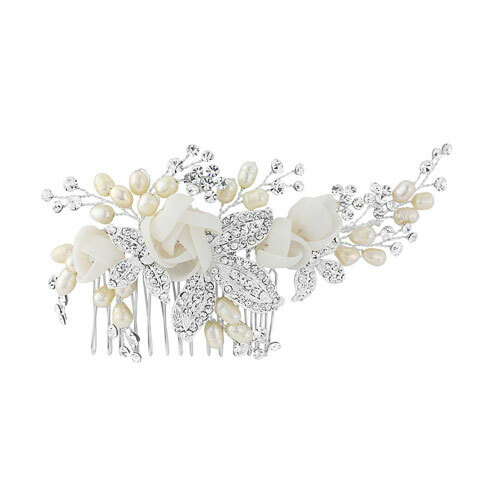 The four flowers in pale ivory organza each have a tiny twinkling crystal diamante at their centres and are interspersed with exquisite, cubic zirconia encrusted leaves which give fabulous sparkle. 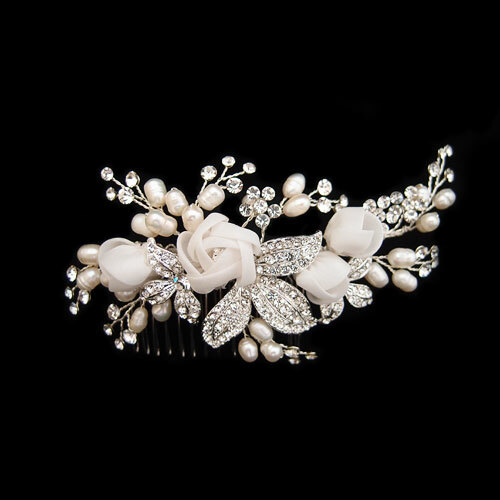 Hand wired sprigs of glossy ivory freshwater pearls and dainty crystal diamantes add depth and a perfect finishing touch to this beautiful floral bridal hair comb. 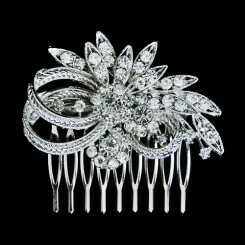 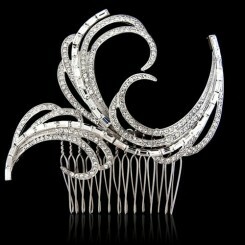 The Clarissa Comb’s design measures approximately 13cm across and is positioned on a 6cm silver plated metal hair comb. 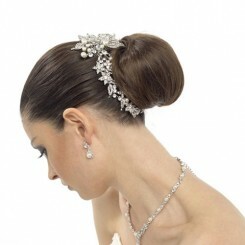 Clarissa is only available in ivory/silver and comes in a luxurious presentation box.